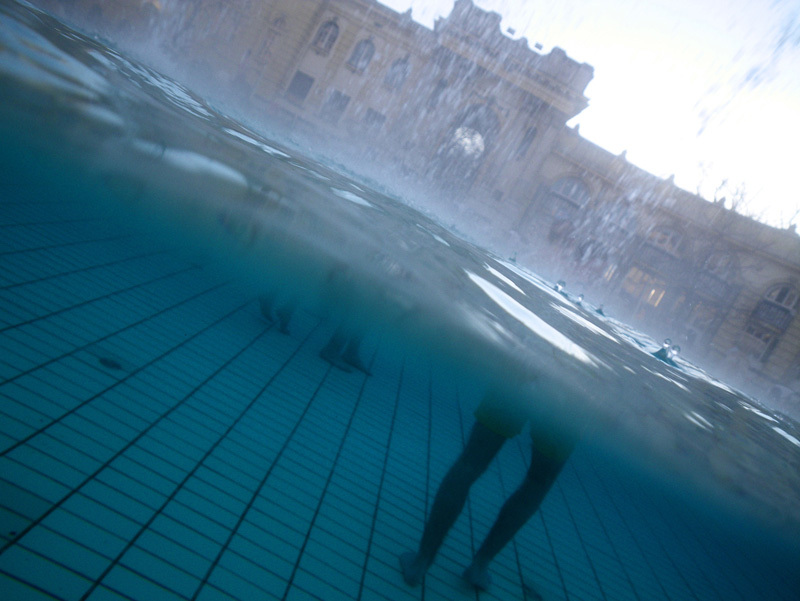 Szechenyi | Leave Me Here.. Considering I’ve been here 5 weeks already, I thought it time to post something..
Budapest happens to lie on a geographical fault line, situated between the Buda Hills and the Great Plains – that wont really mean anything to anyone reading this, but literally, it means Budapest is basically sitting atop 120+ Thermal Springs, making it one of the major Spa/Thermal Bath centers of the world. There are dozens of Bath Houses scattered all over the city and surrounds, some date back to Turkish times, others super modern. 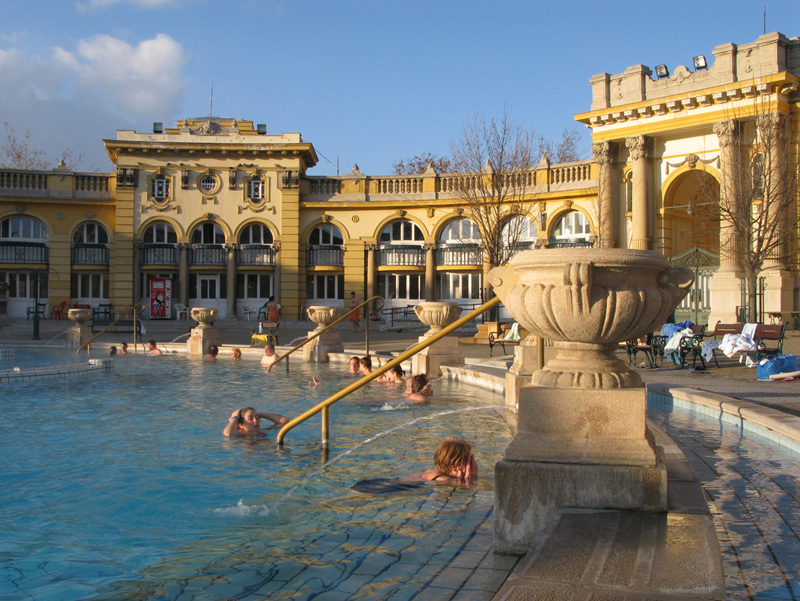 Szechenyi Baths is the largest and one of the most popular, it was established in 1881 and has been going strong ever since. 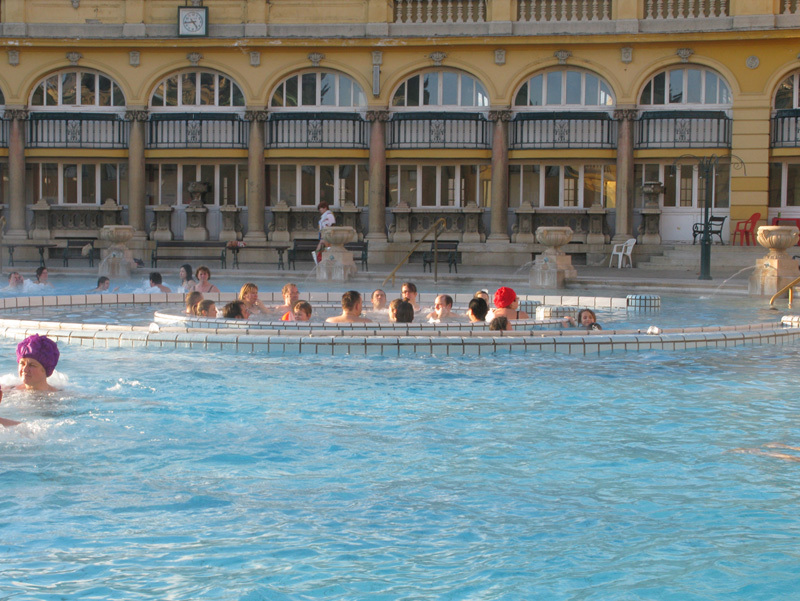 So what is a ‘bath house’ exactly? Realistically its just a glorified swimming pool. Typically, its in a nice old building, and there’s a bunch of fountains and pretty water installations, jets blast from all angles in the pool, and you laze about enjoy all the ‘theraputic goodness’ of winding down. 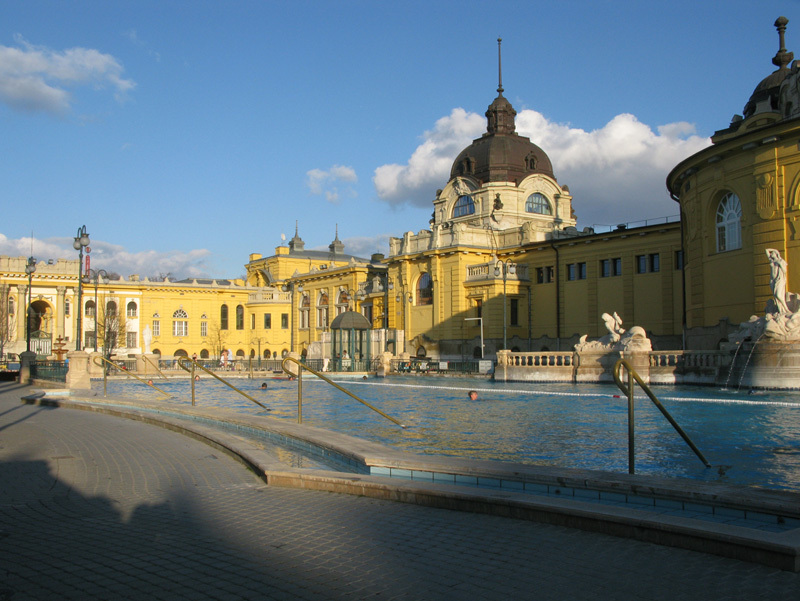 That cliche photo you see of Hungary, with the old guys playing Chess in the pool, that happens here. 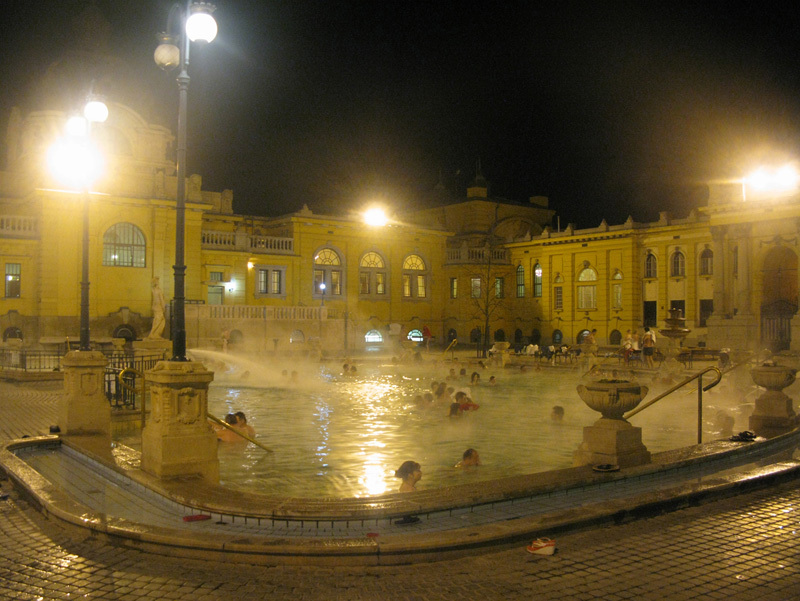 Most of the baths houses have multiple pools, different temperatures and mineral contents (to the point where they smell like sulphur), and you always know which pool is a freezing one because there’s nobody in it. All that said, if you don’t mind turning into a Prune it is pretty fun and a great way to chill out for a few hours after you’ve been on your feet all day. Go in the afternoon and let the sun melt against the Art Nouveau surrounds, when its dark, the lights come on and its like your own private candlelit dinner, except your sitting at the communal table. 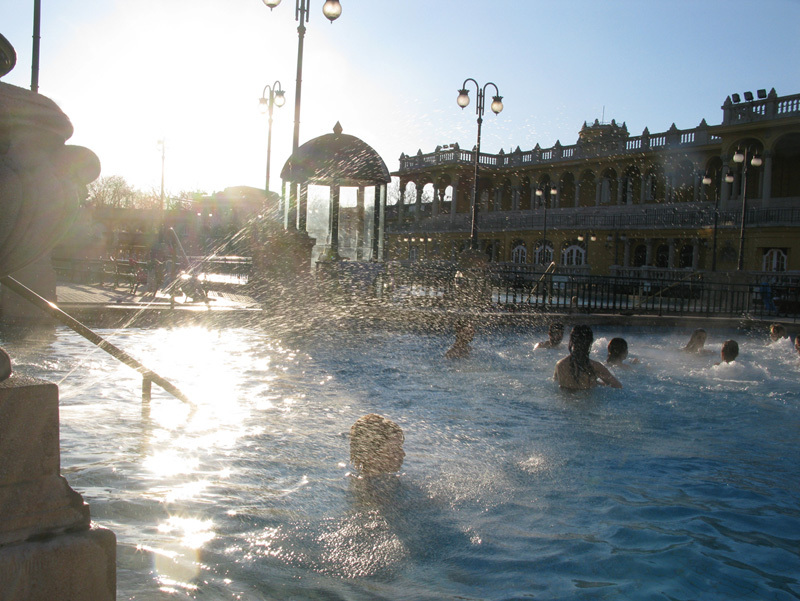 A session at Szechenyi Baths will cost around 2800 HUF (10 Euros / $15 AU) and you can simmer as long as you like. Looks lovely. Nice photos as well 🙂 Where will you be going next? 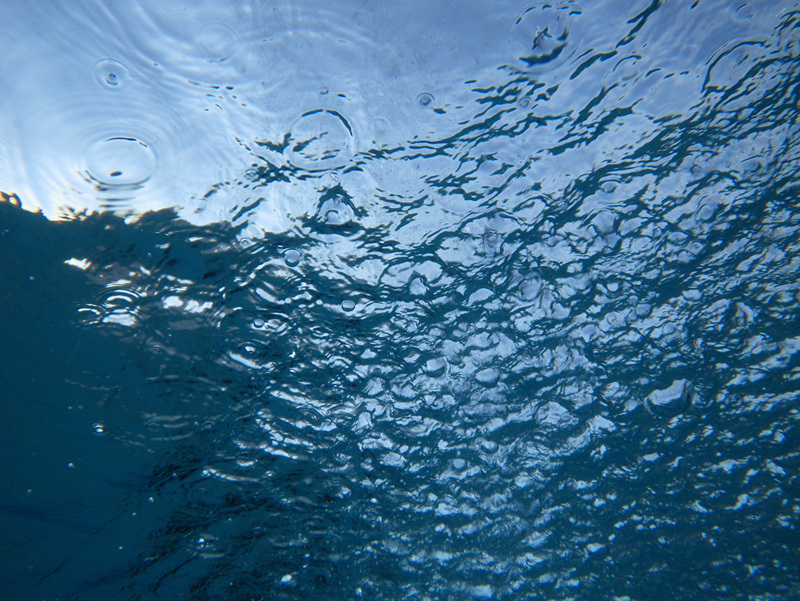 Wow, what a surprise to see my favourite bath on your blog. facilities. Have you visited Gellért as well? Don’t miss it. That’s my other favourite bath on the other side of the Danube. Enjoy your stay in Budapest. Excellent photos. I bet that is quite an experience. That’s fantastic, and great photos!!! 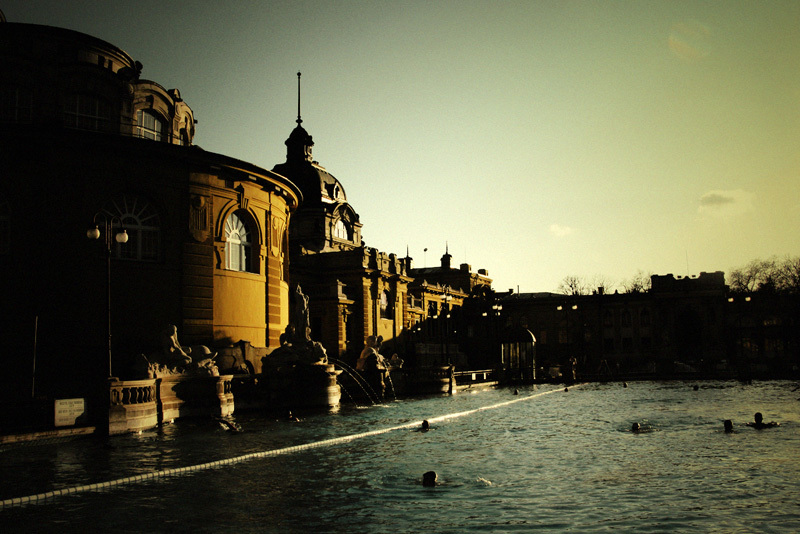 To be honest I didn’t even know that bath houses were still a regular part of European culture. Thank you so much for sharing! Hey, thats a nice post. Thanks for sharing. I had only heard of baths, never seen one. A beautiful city – one of the most romantic in the Central Europe (after Prague though :-). Enjoy. 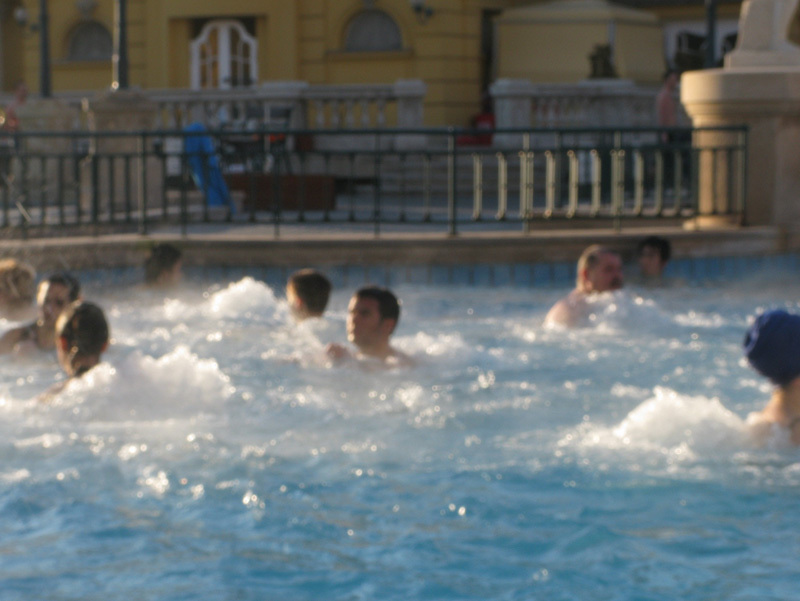 Wow, I love thermal springs too and had no idea this existed! Thanks so much for sharing. Enjoy. Budapest is now on my list of places to visit. Is much of the whole country like that or are the springs mainly happening in that area? Enjoy! Never knew the bathhouses existed even with all the books we have read over the years. I guess the sulphur smell gets to you. A bit like Rotarua N.Z. Great photos. Didn’t know about the fault line either. Don’t know much about it at all. Glad you are educating us. G.n G.
The photo’s are lovely – sounds like a great place. Ah! I was there this summer. It’s a fantastic place! I loved all the different massaging jets. And yes, watching the old men play chess was quite entertaining! I’m going to Hungary in August, so I will be sure to go to baths now. Love your work, as always. My concern would be you’d never know if you wandered into a ‘warm patch’. 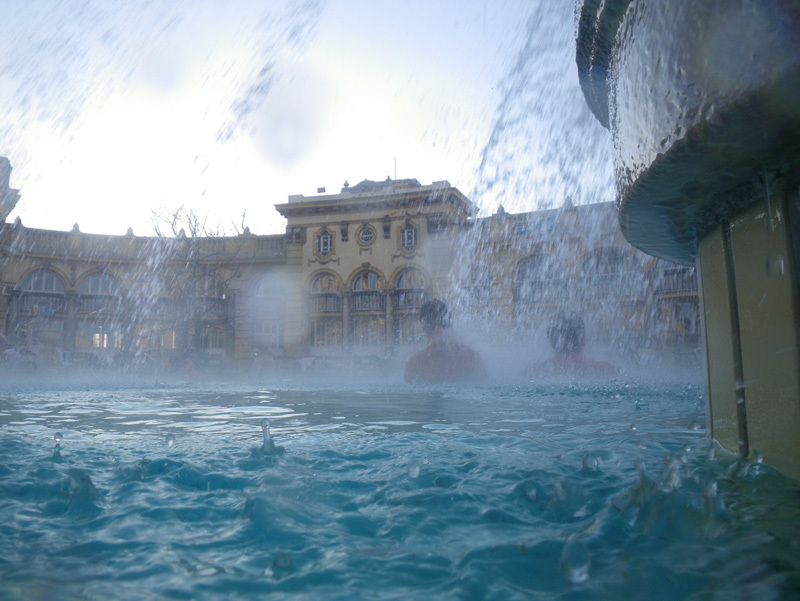 The spas in Budapest are all gorgeous… I have been a few times…. Nothing quite like getting out of one outside on a freezing cold day too !!! !